"When employees and employers, even coworkers, have a commitment to one another, everyone benefits. I have people who have been in business with me for decades. I reward their loyalty to the organization and to me. I know that they'll always be dedicated to what we're trying to accomplish." Did you know that 60% of all households own a digital camera yet only 15% have a way to display those photos? 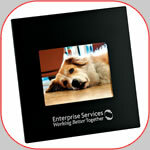 That makes Digital Frames an ideal gift & keepsake. It has a high perceived value and allows employees to show off their achievement while showing off prized memories. Encourage productivity this summer with a Summertime Redemption Program. Extra hours worked or goals achieved are rewarded with points exchangeable for summer-fun incentive products. 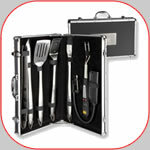 Choices could range from beach towels to grill sets. Up the participation rate by raffling a day-off for those whose names are entered simply by logging extra hours. At the end of each month, draw a name from those eligible employees. While it's discouraging enough to think that employees will jump ship at the first signs of an economic recovery, what's worse is finding out that your best workers are considering it. "The people who are most likely to leave [a company] are top performers," said Maryann Stump, senior director of strategy for New York-based Interbrand, a global branding consultancy. "Even during that period—while they are still working for you—if they are just disengaged and looking for the opportunity to leave, that's starting to impact your customers. Delivery of the brand is starting to lag. Unhappy employees lead to unhappy customers. That's why it's important to engage employees and engage employees not [only] through meetings, but help link what they do on a daily basis to the goals of the business." That firm connection between a company's goals and an employee's day-to-day responsibilities can be the difference between your employees staying put or taking on a new opportunity somewhere else. That being said, companies still have a chance to weather the storm of the economic downturn by better engaging their employees, if they haven't done so already, or at least improve on that goal before their most valuable employees are gone for good. So, how do you improve employee engagement? Enjoy The Big Payoff from Employee Engagement! Click here to read the full article, which explains each of the steps listed above.